This post is part of the Startup Index series, which ranks companies and profiles investor portfolios on a monthly basis. I have previously indexed Y Combinator, 500 Startups, TechStars and Andreessen Horowitz. Like data-driven news? Check out the Traction Tracker and the Active Investor Index, and be sure to let me know which portfolio you’d like to see me index next in the comments or by emailing morrilldanielle (at) gmail. Ask around when you’re raising a seed or Series A round, and First Round Capital is one of the first investors on the lips of many entrepreneurs. I tend to trust my friends when they recommend an investor, so I never did much due diligence on the firm. But when people started suggesting I add them to the Startup Index series I was intrigued. Would their portfolio match up with their reputation? I’ve done the research, now you decide. Updated to move Square to the B2B list. This index is built on a weighted points system which considers the following factors: website traffic, social media following, social media engagement, employee count, page rank, inbound links, and SEOmoz domain trust score. Funding information is provided to give the reader context, but is not factored into a company’s ranking position. Is total funding raised correlated with a higher ranking position? Funding amount is not used as a criteria for the ranking points system right now, so I thought it would be interesting to see whether the amount a company has raised is correlated with the position it holds in the ranked list. The Pearson number for consumer companies is -0.64 and for B2B companies is -0.65, indicating a moderate negative correlation in both cases (the lower the rank number, the higher the funding amount). 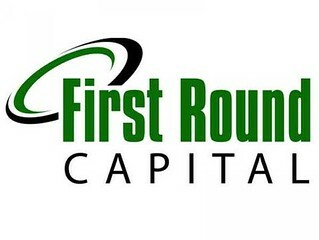 Data Sources: First Round Capital website, Crunchbase, SEC EDGAR database, and AngelList.